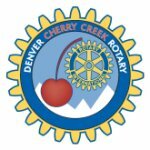 Cherry Creek Perspective – March 2019 | James Real Estate Services, Inc.
Thursday, April 4, 2019, 5:30 – 9 pm, Seawell Ballroom at the Denver Center for the Performing Arts, 1350 Arapahoe St. In this fascinating, provocative new book, Kevin Kelly provides an optimistic road map for the future, showing how the coming changes in our lives—from virtual reality in the home to an on-demand economy to artificial intelligence embedded in everything we manufacture—can be understood as the result of a few long-term, accelerating forces. In comparing building in regions which had their zoning rules changed to that in regions where no zoning changes occurred, he found no discernable impact of the changes on new housing production. On the other hand, he did find that land values increased in the regions where higher density housing was allowed, with the increase taking place within 6 months of the zoning change. These two results seem inconsistent. It makes sense that the value of the land would rise if it can now support larger buildings that generate more income. However, the purchaser of the land would only realize that additional income if he actually built the larger building now allowed. That has not happened. Not yet anyway. GreenTRIP helps developers identify effective traffic reduction strategies such as free transit passes for all residents, access and driving credit to car sharing services, and “unbundling” the price of parking from rent, so those without a vehicle can save even more…Since its launch, GreenTRIP has obtained commitments for 280,000 years of new transit passes and space for over 6,580 new homes. A recent evaluation showed that designated PUDOs along a heavily-trafficked route had improved traffic flow and reduced delays, and ride-hailing and delivery vehicles heavily used the zones. Fort Lauderdale’s wider package of reforms, focusing on balancing the needs of different road users through redesign, also significantly sped up journeys for emergency vehicles and reduced speeding along this key corridor. While almost all laud Henry Ford, and he is often blamed/praised for his contribution to the urban form, the even more blame/praiseworthy Elisha Graves Otis is known to but few. Pulleys and ropes have been lifting and lowering people and goods for millennia but when, in 1853, Otis developed a brake for his “Improved Hoisting Apparatus” he set off a chain of events that, within 20 years, started to radically reshape the urban form…“Taller buildings permitted the concentration of people of various disciplines in a single location and caused the cities to grow in their present form during the 1870s and 1880s,” wrote George R. Strakosch in the industry bible, The Vertical Transportation Handbook. Congestion pricing that includes both a distance-based charge and a time-based charge could help eliminate incentives for cruising. But cities should implement such policies now, when there’s no established group of autonomous vehicle users to object, Millard-Ball argues. After all, cities have had trouble implementing congestion pricing for standard cars because motorists don’t want to have to pay for something they’ve historically gotten for free. Once the robots are here, it may be too late to stop them. Cushman & Wakefield Research evaluated cities against key factors that would influence auto mobility take up to arrive at a group that would be most likely to see changes. The cities where change to auto mobility could be strongest— and happen quicker—are classified as “early adopters.” They are, in general, gateway cities, as well as Denver, Seattle, San Jose and Philadelphia. Some of these cities are also piloting AV technology and are likely to be the first to use MaaS. On the other hand, carcentric cities such as Phoenix and Orlando, are likely to see less change from mobility shifts. One easy way to tell the difference between good congestion and bad is to look around. Are there lots of people on foot? Do you see bicyclists on the street? Is the transit service frequent and mode share high? Then you probably have good congestion, because good congestion involves people outside of cars. The best congestion can be found when people are hardly moving at all. People are so happy to be in a particular location they are hanging around for the joy of it. Well-occupied outdoor café tables and park benches are top indicators of good congestion. People talk, buy food from a vender, maybe somebody plays guitar on the side of the best congested streets. The faces your see have purpose and animation—which means they are making connections, doing something meaningful in their lives. DENVER – As construction moves forward on initial phases of the National Western Center’s redevelopment, the City and County of Denver’s new Performance Based Infrastructure (PBI) office is helping complete the master plan vision for the project. A Request for Qualifications (RFQ) seeking a development partner for the final phases of the Master Plan was released Friday. Denver City Council adopted the National Western Center Master Plan in 2015, which outlined eight phases for the completion of the campus. Phases 1 and 2 are underway. Phases 3 through 8 are known collectively as “The Triangle” and are included in Friday’s RFQ. The Triangle will complete the NWC campus and key assets. It will also complete the City’s commitment to environmental clean-up of the site, ensure the Stock Show remains in Denver for the next century and create jobs. As the leader of the procurement process, the PBI office is dedicated to maintaining transparency with both the public and the industry. The goal of this office is to establish a neutral, standardized and transparent process to evaluate and execute potential partnerships with the private sector to deliver public infrastructure, such as The National Western Center. The office will ensure any potential projects stay true to Denver’s core values of inclusion, equity, and economic opportunities for all. The City is seeking a public-private partnership to design, build and ultimately maintain The Triangle portion of the National Western Center, which is set to include a 10,000-seat arena, expo hall, rehabilitation of the historic 1909 building, parking and other public infrastructure. Denver City Council Member Paul Kashmann reports that as the Elevate Denver bond program moves into its second year, significant progress continues to be made toward delivering the more than 500 projects approved by Denver voters. In 2018, the bond program issued $193 million in funding to complete the design of initial projects — enabling them to move quickly into construction upon the next issuance, which is expected later in 2019. As Elevate Denver advances the delivery of the voter-approved projects, this means that significant design efforts and other critical pre-construction activities will become more prevalent. Early 2019 will bring the first sidewalk paving projects and will bring forth construction management services contracts for several library and swimming pool projects. At the Denver Zoo, Elevate Denver funding will support the construction of a new animal hospital to replace the current hospital that is nearly 50 years old and has not been meaningfully updated since 1981. The Zoo cares for more than 4,000 animals and is the most visited cultural institution in the entire state of Colorado, receiving more than two million guests annually. Construction of a new animal hospital will enhance this vital cultural institution and ensure that its animals have access to the highest level of care possible. The University of Denver (DU) recently launched its Campus Master Plan process—a planning effort that will create a blueprint to guide the evolution of the physical and built environment on and around the campus. This is a unique planning effort in that it will not only examine the campus, but also its edges. The goal is to promote greater interactions with neighboring communities, commercial areas and parks, as well as to improve transportation, pedestrian, and bicycling systems for the entire area. DU released a survey to gather feedback on priorities for the kinds of spaces and places the community would like on and around campus, as well as ideas to support mobility and sustainability. Current demand for state AHTC is out-pacing availability by $4 to $1. Simultaneously, the need for more affordable housing is growing statewide with one out of every four renters being cost-burdened and half of the state’s extremely low-income renters spending more than 50 percent of their gross annual income on housing.